Blizzard have announced that the Legacy of the Void beta is now in its final stages. Though no date is given in the post, with release just two weeks away chances are the servers will be coming down in either tomorrow’s maintenace period* or next week’s. It comes after many months of beta, which actually started quite early deliberately, and numorous balance patches big and small. Major changes have been wound down and now it’s mostly number-fiddling left to do. 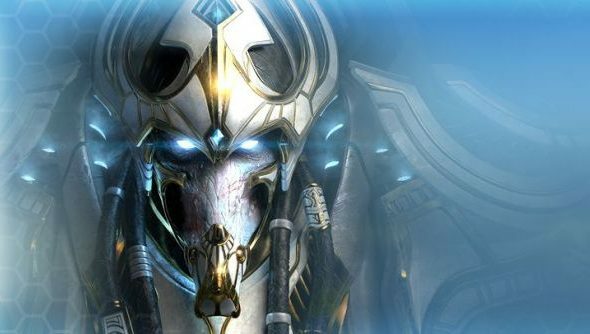 SC2 is one of our favourite strategy games of all time. The latest patch notes and community update echo this, still experimenting with possibilities and playing with imbalances but deliberately remaining conservative with how it is done. It looks like another round of updates will be hitting elements much maligned by the community such as Photon Overcharge before the end of things, but may be part of a final patch we don’t see until the expansion’s release on November 10th. Blizzard have promised that they will still be willing to make large updates to the game once the beta is over, if they’re required. The current pool of talent playing it has been limited until recent months as most of the best players focused on Heart of the Swarm for the end of the season. Once it gets into the hands of these guys, problems are likely to show themselves more promintently. It’s also possible that Blizzard will move to a MOBA model where large end-of-year patches are specifically designed to shake up the metagame.